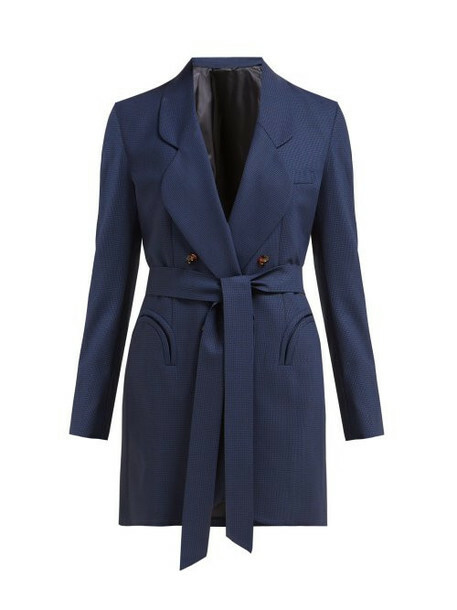 Blazé Milano - This blue Tonino blazer expresses Blazé Milano's focus on tailoring with a modern edge. It's crafted in Italy from houndstooth wool and cut for a double-breasted front which can be cinched at the waist to temper the relaxed silhouette, then lined with contrasting navy satin. Shrug it over a tank top and leather trousers for a casually elegant look.